Home FAQ Blog What does EEWC-CFT stand for? 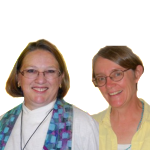 EEWC is an abbreviation of Evangelical & Ecumenical Women’s Caucus, the name under which we are incorporated as a 501 (c) (3) non-profit organization in the state of California. CFT stands for Christian Feminism Today, the name of the quarterly journal we published until January of 2012, when we began publishing exclusively on the web. Christian Feminism Today is the name of our website and our “doing business as” name for the organization. In 1974, we came together as a caucus during the second meeting of what would become Evangelicals for Social Action (although never formally a part of that organization). Later we recognized Catholics and other non-Protestant members of our group by adding “ecumenical” to our name. 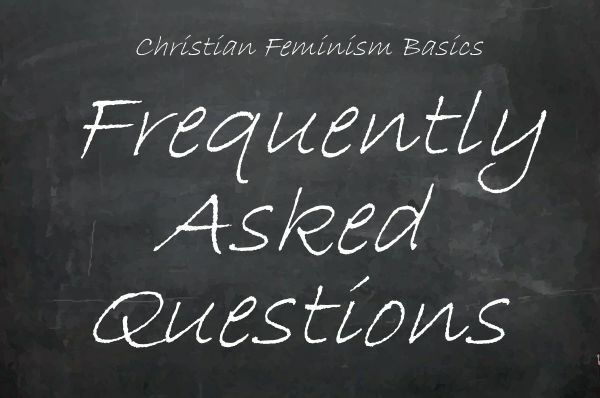 Today we try to keep things simple by identifying ourselves primarily as Christian feminists. The original name of this group was Evangelical Women’s Caucus. Evangelical because most of the founders were women raised in the more conservative tradition of Christianity (called “evangelical” by many). Many of these women were beginning to question the solely masculine terminology used in their churches generically for all people, causing women to feel invisible and excluded as their consciousness was being raised in the early women’s movement. This led to many other questions about the value of women in the Scriptures and in the churches, a questioning of Biblical interpretation, and the raising of questions about the exclusively masculine language and imagery used for God. The word “Ecumenical” was added to our name later, when the group realized that women in many Christian denominations were thinking about the same issues and were becoming part of our group. Of course, theologically, “evangelical” just means telling God’s good news. It doesn’t refer to a political stance, as it is often misunderstood to mean today. We are still proud to identify as evangelicals in the broader sense. And we are proud to be in the presence of Christian women in so many denominations and traditions. “Caucus” was a big political word in the women’s movement, indicating that part of our reason for being was to organize and challenge the larger church—as well as society in general—to see, speak about, and recognize the equality of all people. However, as people now equate the word “evangelical” with “right wing,” in 2006 we changed the title of our quarterly journal from The EEWC Update to Christian Feminism Today to better communicate our mission and membership. Many of us are still unwilling to concede that the word “evangelical” can only be used to describe socially conservative Christians, so the organization has never given up our historical name. “About EEWC-Christian Feminism Today” on this website. “Should the Evangelical & Ecumenical Women’s Caucus Change Its Name?” Responses by members. Published in Christian Feminism Today 30.4 (2007).